Nobody Knows Toyota and Scion Better than Us. 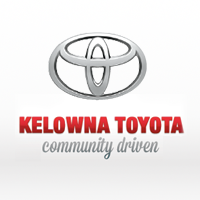 If you drive a Toyota or Scion and need repairs or maintenance in Kelowna, Rutland, West Kelowna, or anywhere else in the Okanangan schedule a repair or maintenance appointment at Kelowna Toyota. Our factory-trained Toyota mechanics are qualified to keep your vehicle running smoothly. Car Repairs in Kelowna, B.C. At Kelowna Toyota, our mechanics are standing by to repair your vehicle no matter how big or small the job is. We’re capable of fixing all makes and models of pre-owned vehicles and deliver the highest level service with every vehicle and customer that drives through our service bays. Provide power to start your Toyota in any weather, year after year. The battery supplies power to the necessary components that use electricity including the starter motor and various lamps such as headlamps and stop lamps, computers, wipers, audio system and more. Battery service and comprehensive electrical charging system evaluation should be performed according to the manufacturer’s required maintenance schedule. This service helps avoid potential no-start conditions which are a concern to owners due to the inconvenience caused by such a failure, especially given our extreme weather conditions. Batteries should last for years but slow engine cranking or dim headlights are a sign that your battery requires attention. 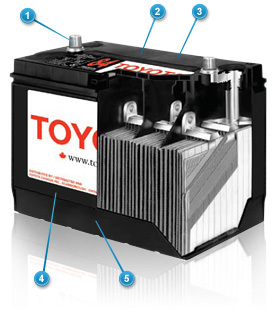 Toyota Batteries are backed by one of the best warranties in the industry, 24 month free replacement, including installation. Pro-rated coverage up to 84 months. All scrap batteries are recycled 100%. If brakes drag, pull, pulsate or produce abnormal noise, see your dealer immediately. Cabin Air Filters are necessary to filter out unwanted particles in the air – such as pollen, dust, allergens, and other pollutants before they enter your vehicle’s compartment. The benefit is cleaner, fresher air for you and your passengers! A vehicle’s cabin can contain high concentrations of dust, pollen and other unwelcome air particles which can potentially affect the comfort and health of vehicle occupants and aggravate allergies. A regularily changed Cabin Air Filter helps keep unhealthy air out of your vehicle. Replace every 12 months or 16,000 kilometres. Over time filters become clogged which reduces air flow from you air conditioner and heater. Driving in heavy traffic, urban or dusty environments or on dirt roads may shorten the filter’s life. Toyota Air filters prevent harmful particles from entering your engine and causing damage to the parts inside. Cleans up to 24,000 litres of air per hour when driving at 60 km/h. Air filters eventually become clogged with trapped particles and as a result this will reduce engine performance. A clogged filter starves your engine for air, reducing fuel economy and increasing emissions. Remove and inspect every 6 months or 8,000 kilometers and replace as needed.